Rainy days was released in October 2009, so I am probably one of the few people who have only read it this year. I don’t know how this happened, but the first book I’ve read from Lory Lilian was not rainy Days but Sketching Mr. Darcy, and after reading that one I could not wait to read more books of this author, so Remembrance of the Past followed, and now, at last, Rainy Days. It is curious how one rainy morning can change an entire story. When we think of this couple stranded in a cabin in the middle of the woods, we immediately think of what may happen there, and I have to say that I loved that Lory Lilian managed to get our characters to always respect propriety. Their scenes together were intense but clean, and that is exactly how I like them. The characters remained true to themselves and their arguments were believable and a joy to read. I particularly liked seeing Mr. Darcy’s temper as many times we are presented with a perfect Mr. Darcy, when in fact he is not perfect. For me, his imperfections are what make him perfect, so I loved to see that he kept them in the beginning of the book. However, the arguments and angst do not take a great part of the book and Mr. Darcy and Elizabeth come to an understanding early in the story. From that moment on, we will see Mr. Darcy as the perfect gentleman courting his fiancée. I love books with lots of Darcy and Elizabeth moments and this book certainly has them, but being an angst addict, I would prefer to have seen more angst and conflict in the remaining of book. Readers who love romance and lots of Darcy/Elizabeth moments will certainly love this book though! Of course that given my tastes in JAFF, one of my favorite moments of the book was their fight after Wickham’s remarks. I believe Lory Lilian did an exceptional job in this scene because it is very real, and it reflects much of our behaviors with our loved ones. Most of the times we just need reassurances that the other person loves us, but somehow they cannot give them, as they also need that from our side; instead we hurt each other with remarks that are only said out of pain. I believe Lory Lilian was very good at transposing that into this specific scene and that was something that captivated me. I’ve mentioned a lot of romance but the book is not just about that, it has several funny moments. I personally adore reading “dimples is good” coming out of Becky’s mouth and consider the way Caroline Bingley discovered about Mr. Darcy’s engagement absolutely hilarious! I’ve read this book with a 7 year delay, but I will not commit the same error with the recently released sequel The Rainbow Promise, that one I will read as soon as I can, as this is definitely a story and a group of characters whose story we need to follow up. That’s right, this review brings along 2 eboks that Lory Lilian would like to offer to From Pemberley to Milton’s readers. You can choose to receive either a copy of Rainy Days or a copy of it’s sequel The Rainbow Promise, which has recently been released. All you need to do is comment this post and let us know which one you would like to receive and why. If you are curious about the sequel, don’t forget to visit us next Thursday for an excerpt and another chance to win one of the e-books. The giveaway is international and is open until the 12th of June. Rainy Days sounds like a good story. I, too, missed reading it somehow, and would like a chance to do so now. Thanks for the giveaway! Maureen, I am also excited when someone discovers the old Rainy Days. Good luck in the giveaway and hopefully you will get a chance of reading it soon. 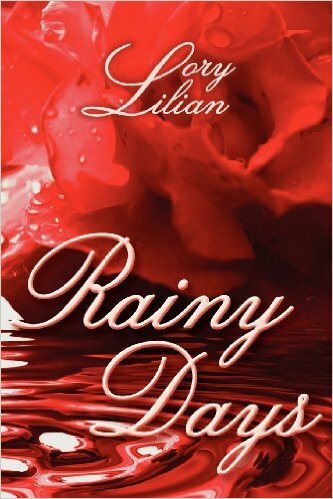 Rainy days and its sequel are the only two books by Lory Lilian I have not read – which is why I want to read them – as I have thoroughly enjoyed her other books. I think I would start with Rainy Days though. WOW, I cannot believe it has been four years since I read Rainy Days. I will have to re-read before the sequel. Would like to win copy The Rainbow Promise. Nicole, thank you for the comment. Good luck in the giveaway. I was lucky enough to win Lory’s The Perfect Match, as a giveaway on this site a few months ago. Needless to say I really enjoyed it. Knowing that lightning doesn’t strike twice in the same place,I would still like to comment,as I love Lory’s work. I’ve had the pleasure of reading all but her latest,The Rainbow Promise, and have loved and savoured every minute spent with her beautifully written characters.For me,they were all 5* reads and I highly recommend them! Lory has a real gift as a storyteller,she cares so much about her characters and it shows in her carefully crafted sentences. I’m looking forward to reading TRP,it’s on my TBR list,that grows longer every day! I know what you mean about the never ending TBR…I’m struggling myself. But there are good JAFF books getting out every single month! What are we to do? My Rainy Days is well-worn. I’d surely like a new one. Good luck in the giveaway Betty! No, you’re not alone. I only read “Rainy Days” last month myself. My only excuse is that I just don’t have much money in my budget for books, certainly not enough to read all the JA variations I’d like! RD was a lovely story, and I’d certainly be thrilled to win a copy of the sequel. Thanks for the opportunity! Glad I’m not alone Pam! I know what you mean, I realized I was spending too much money in JAFF when my family and friends started giving me Amazon vouchers as birthday presents so that I could continue buying the books I love! Authors are very generous to offer us these giveaways aren’t they? Good luck in the giveaway! I’m glad you finally got to read this Rita. I have read it many times and will read it many more. As I will The Rainbow Promise. I love the romance in Lory’s books and look forward to the next one 😊. Please don’t enter me in the giveaway as I have all her books. Enjoy Rainbow Promise Rita. I hadn’t heard of Rainy Days until getting the email today (shame on me I know). It sounds really good and I would love the chance to win it please. Rainy Days (and Remembrance of the Past) were among my first handful of variations I purchased when my JA obsession was taking off so it has a special place on my shelf and in my heart. (And my Kindle…) Since I own multiple copies of Rainy Days, I would choose The Rainbow Promise if I were to win. It is a must read for me. Wonderful post. Thank you for the giveaway. I’ve read three of her books and loved each one. Your mention of how much Darcy and Lizzy time along with the humorous moments sprinkled in are a big reason I love her books. I need to do a re-read since it’s been a while. I would be interested in Rainbow Promise, thanks! I would love to win a copy of “The Rainbow Promise”. Why? Because I already have “Rainy Days”, silly! Glad that you were finally able to read “Rainy Days” and enjoy it! I loved Sketching Mr. Darcy, so I would like to try Rainy Days next. I just read ‘Rainy Days’ last year and loved it! Your review hits the mark perfectly for me! Thank you for the giveaway and if I am so lucky, I would love to win ‘The Rainbow Promise’.! Rainy Days sounds like a good JAFF. I always do enjoy many Darcy/Elizabeth moments and some of my fellow Janeites recommended Lory Lilian so I’ll enter and hope to win.